I’ll admit it. I’ll always be fairly biased when it comes to Xi’an. It was my former home and also my first home in China and it’s still by far my favourite city in the country. I hate it when people say that they’ve been to Xi’an and it turns out that they’ve just been for the day to see the Terracotta Warriors. I spent a year and a half in the capital of Shaanxi province and I swear I didn’t see it all. There’s so many things I miss from trips to the Muslim Quarter, motorbike rides through the city to the way the city wall was lit up at night, making it seem even more pretty. 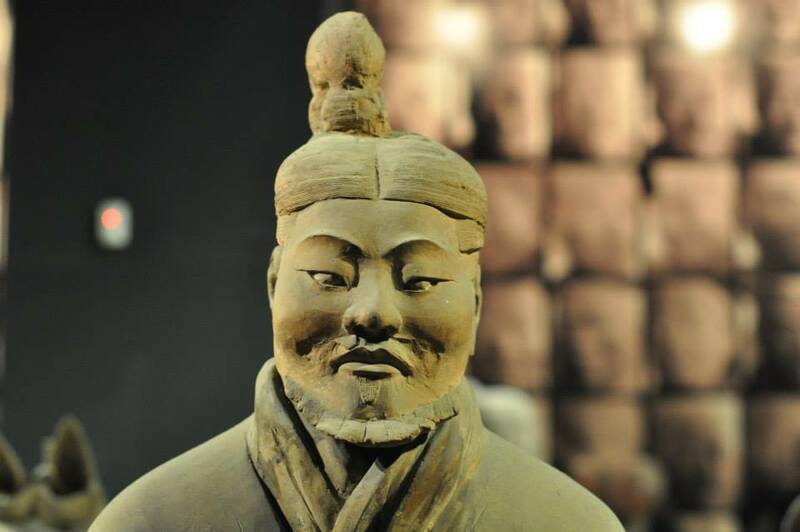 And while the Terracotta Warriors are amazing, the city has so much more to offer and here are some reasons why. Well I guess I couldn’ t get away without talking about the warriors in some way. They are an amazing sight and it’s hard to really imagine the sheer number of them until you see them up close. 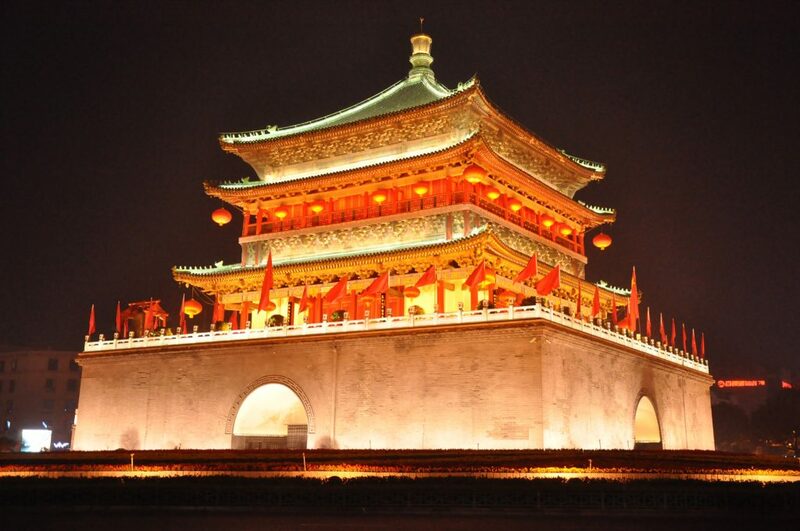 But this is just one sight in Xi’an. There are so many more – the city wall, which happens to be the most intact city wall in the country and also the Wild Goose Pagoda, referred to as Dayunta. I know. Not really what you would have imagined me to say for China. Thanks to President Xi Jinping’s family having local roots, a lot of money has been pumped into the area over the past few years or so. Because of this the city has never looked so green – more trees have been planted, the regeneration of the South Gate has finished and you can even take a boat ride around the city wall moat! Yeah people stare. People are interested in you and at first it can be really daunting but Xi’an is a glimpse of real China. Beijing and Shanghai are just big metropolises now and don’t really give you an insight into ‘real’ China. In my mind, Xi’an is what Beijing was ten or twenty years ago which means you should probably get here fast! There’s always something going on for you to see from the Spring Festival displays in the park to the firecrackers on National Day. I still have days where I crave Shaanxi food. It’s the best. Thanks to Xi’an’s location at the end of the Silk Road, the city has a variety of cuisines all mushed into one. If you head to the Muslim Quarter you can see this in action – I beg you to try all of the street food there that you can. My favourite food from Xi’an probably has to be a good roujiamo ( a Chinese ‘hamburger’), you can get them in other places but they just don’t make them like they do in Xi’an. I know many people who will disagree but the friendliest locals I have come across have been in Xi’an, whether it was the guy across the road selling fruit, or people at a music festival who just wanted to hang out and have a good time. Xi’an has a kind of laid back vibe and the people here reflect that. And those are my reasons to visit Xi’an. I think they’re good enough for you to pencil in a visit for the near future. You can also read more on my love of Xi’an in my recent article for the South China Morning Post’s 48 Hours Magazine. Did I miss anything? Have you been? What was your experience like? "Inside Beijing’s North Korean restaurant"